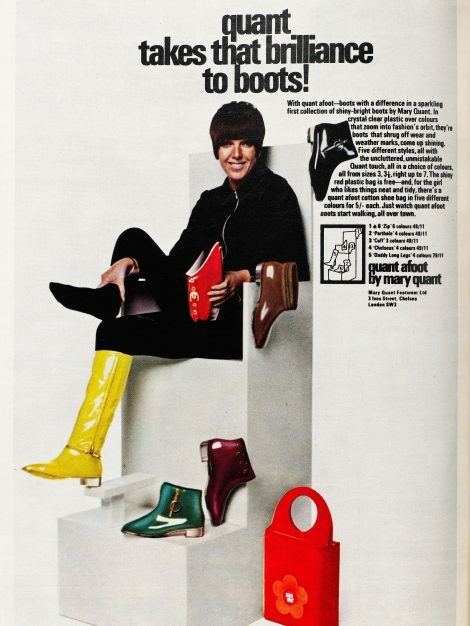 Five different styles, including a long boot that unzipped at the ankle, were sold in a range of colours including mauve, yellow and red, and came in a free red plastic bag decorated with the famous Quant daisy motif. 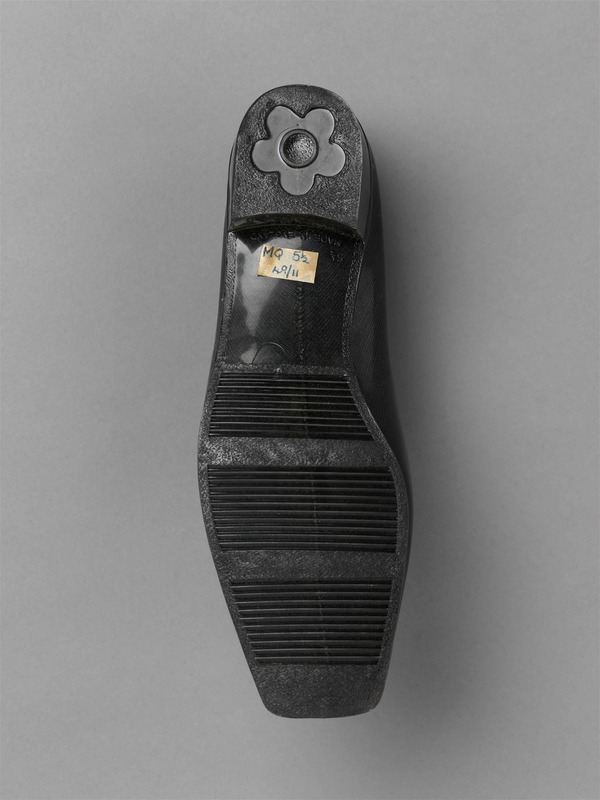 The daisy can be seen on the underside of the boots’ clear plastic heels. 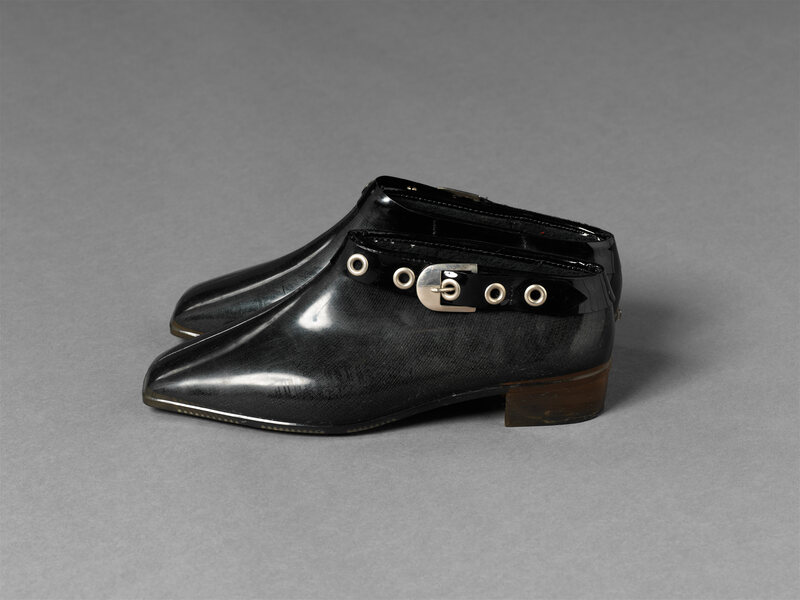 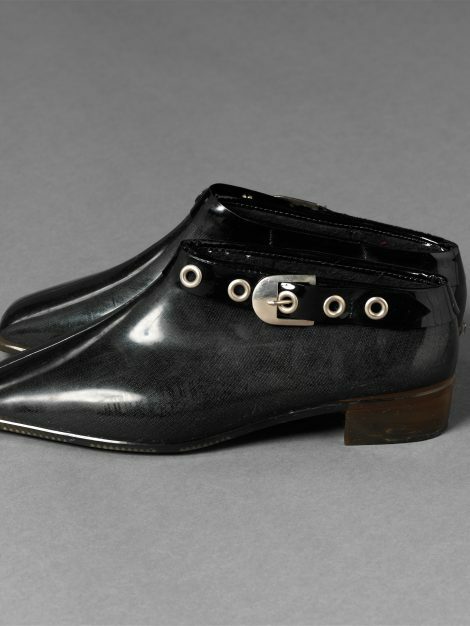 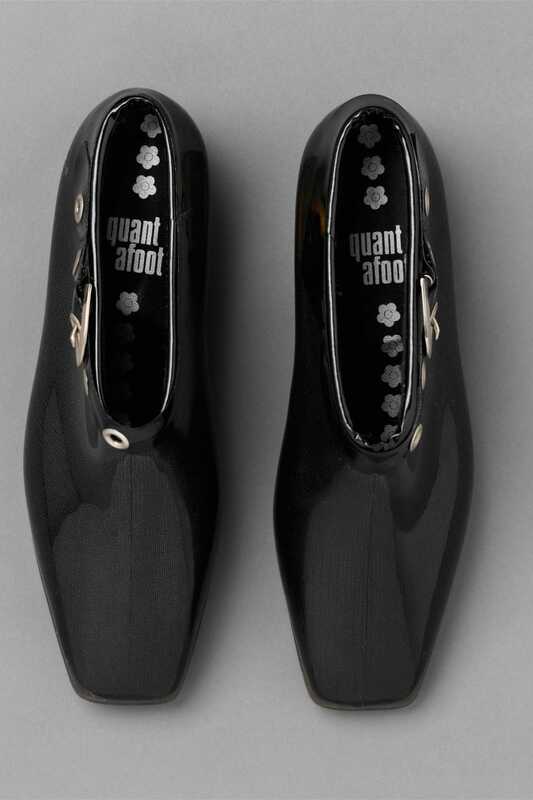 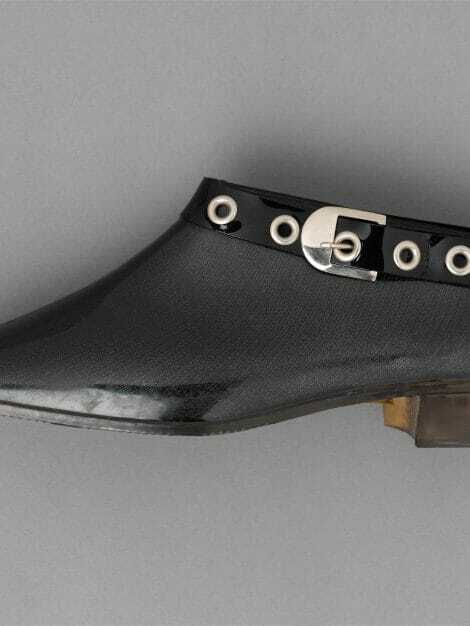 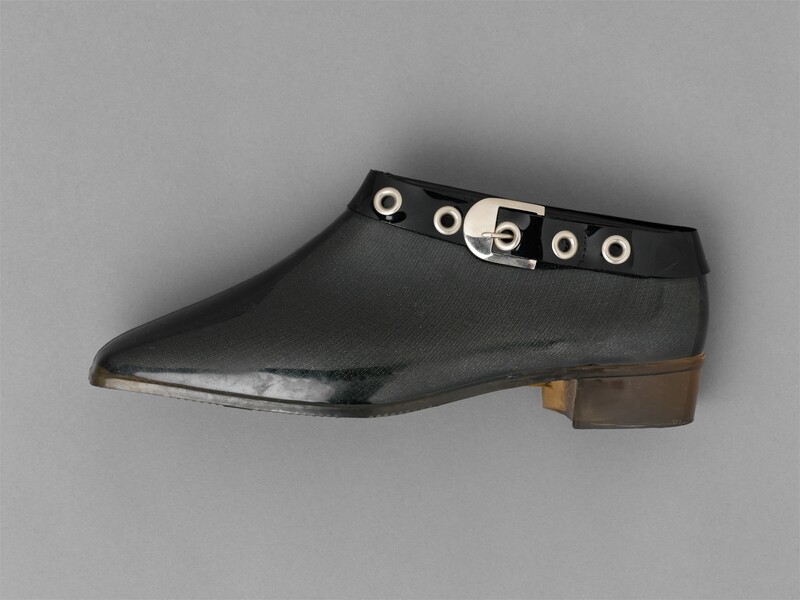 This style ‘Chelseas’, a typical Mary Quant pun, retailed at 49/11. 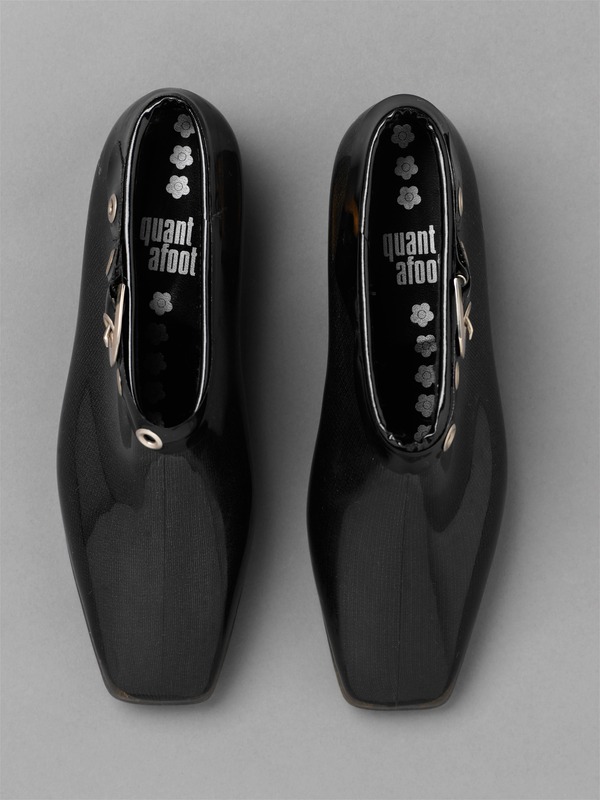 The original paper shop label ‘M.Q 49/11’ remains on the side of the left boot. 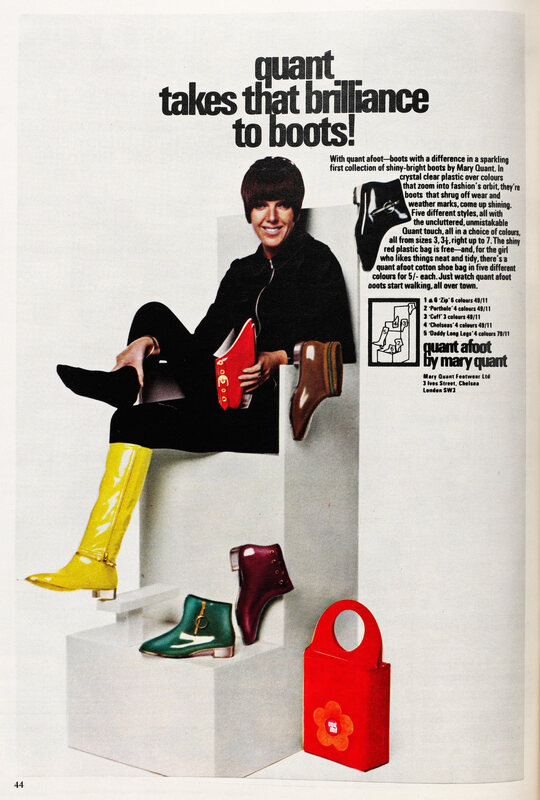 One of the most innovative dress designers of the 1960s, Mary Quant produced practical, youth-orientated waterproof footwear that was fun to wear, in contrast to the black wellington boots and matronly clear plastic overshoes that had previously been standard for wet weather.